Que mejor que empezar mi Febrero consintiéndome y tomando un break de cuerpo y mente. Mis amigos del spa Manos Curativas me invitaron, a pasar una mañana con ellos y disfrutar de un ambiente de relajación y paz. The best way to start my February; pampering myself and taking a break of mind and body. My friends from the spa “Manos Curativas” invited me to spend the morning with them, enjoying an ambiance of relaxation and peace. I've gotta confess that I was craving this massage for a long time, and luckily on Manos Curativas each of them is given by an expert physiotherapist that took care of me and my sister, who joined me on this experience. We started the morning at the pool with lavender and mint tea, after a foot & hand massage with lavender & chocolate natural exfoliants. The perfect finale was a relieving full body massage. If you’ve ever suffered from back pain - like me - from stress, bad posture or lack of sleep, this massage was made for you. Amé MUCHO el servicio y la calidez de todo el personal, mis fisioterapeutas fueron, aparte de lindas, muy atentas con la respuesta de mi cuerpo a cada masaje. I loved the service and the warmness of the staff, my physiotherapist was sweet and thoughtful with the reaction of my body to each massage. Si quieren consentir a alguien o incluso a ustedes mismos este 14 de Febrero, que mejor que hacerlo dándonos un tiempo para respirar profundo -LITERALMENTE- y consentir nuestro cuerpo. ¿Y que creen? Toda la Familia Fashion Topic tiene un 25% de descuento en todos los servicios individuales con sólo decir que visitan Manos Curativas por parte del blog. ¡A prepararnos para el 14 de Febrero! 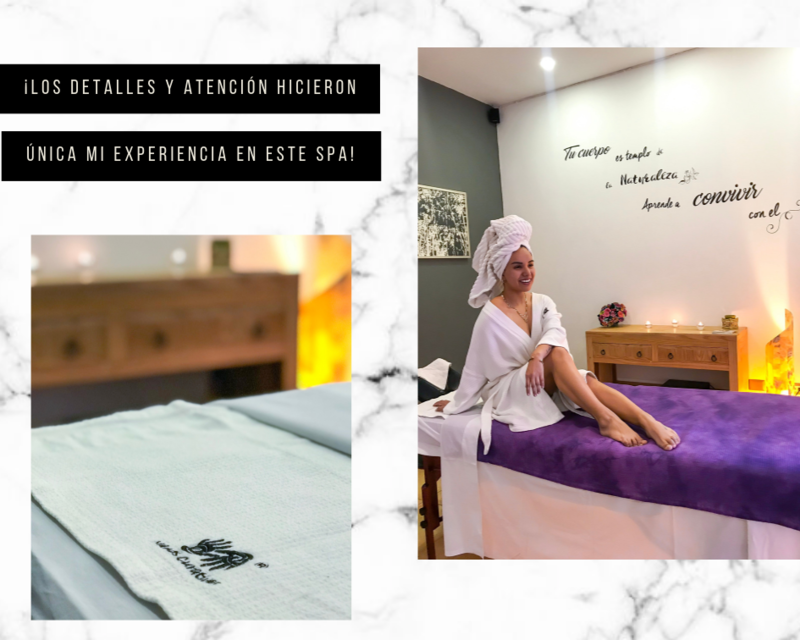 If you are around Puebla and want to spoil your loved ones or even yourself this Valentine’s Day, there’s no better way to do it than giving yourself time to breath deeply -LITERALLY- and pamper your body. And guess what? Fashion Topic Family has a 25% discount on individual services, just mentioning that you’re visiting the spa on behalf of the blog.